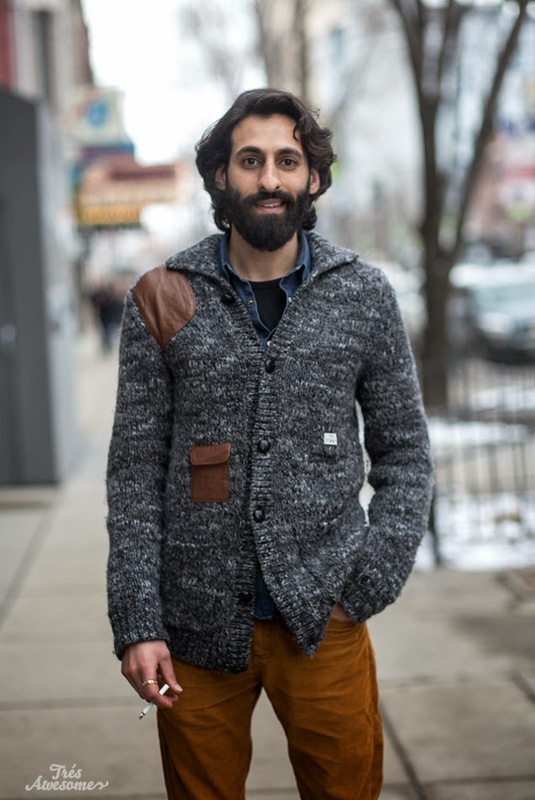 I ran into Khaleed in Wicker Park over the weekend. The temperature was a whopping 40 degrees which in Chiberia is basically tropical and warrants a no jacket sweater only policy ;) Khaleed looks super sweet in this cardigan with the leather patches and matching cords. Nice work sir.